What’s better than being burnt alive? 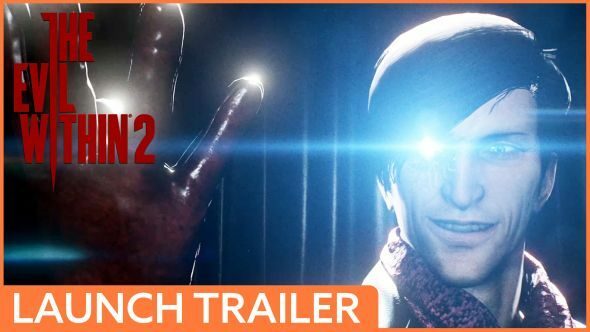 Absolutely nothing, chant The Evil Within 2’s various characters as all of them have a close encounter ofthe fire kind in the latest trailer. Why? Honestly, no idea. Here’s our Evil Within 2 guide to everything in the game. I have a fascination and attraction to games where I am 100% positive I will not have a gosh-darn clue what is happening. The Evil Within 2 is one such game, and our livestream the other day convinced me I was right and that it looked pretty good in its own right too. Game’s out in just a couple of days on Friday, and marks a mid-point of the packed October 2017 that looks to finish off one of the best gaming years ever. Hopefully it can keep up with that pedigree, we’ll have a review for you soon.